I’ve found that bedtime is the best time for five reasons. Prayer is the perfect culmination of the day. The last thing we do before going to sleep is important because it’s what we think about as we drift off and it’s more easily remembered even after we wake up the next day. How great would it be for your kids to go to bed at night with the last thing they heard being the voice of their father or mother talking about them to God. Prayer will help your kids relax. Their minds and bodies have been busy and active all day long; this is a good routine to help them relax and focus on God as their last activity. If they close their eyes during prayer, it may even make them more tired and go to sleep quicker! Kids can be anxious at bedtime. Whether it’s a fear they will have a nightmare, or they begin to recall some of the hurtful things that happened to them during the day (a bully picked on them, their toy broke, they lost the soccer game, their friend laughed them, etc. ), prayer before bed will remind them that God is in control and at work – and we can talk to that God! Kids are generally more receptive to talking and spending quality time with their parents at night than any other time of the day. Younger children never want to go to bed, so anything you do to stall will make them happy! Why not pray with them? Older children are more relaxed and open at night. Their minds are less on guard as they filter and contemplate what happened over the last several hours. Use this opportunity to ask them what they need prayer for and what is going on in their life. Prayer is easier to do at night. You aren’t rushing to get out the door before work. Nobody is trying to clean, or cook, or finish a project. Nothing is going on, otherwise your kids wouldn’t be going to sleep yet! 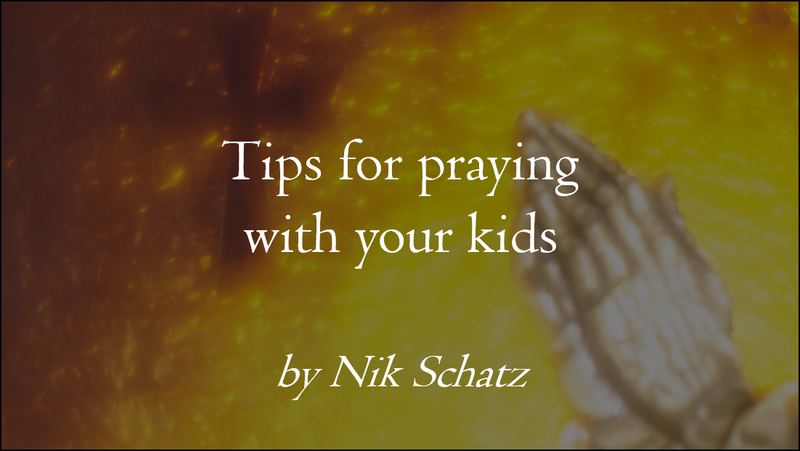 Nighttime is the easiest time of day to pray with your kids and the easiest time to remember to pray. Remember: Bed-time is the Best-time. Try it out and pray with your kids tonight.